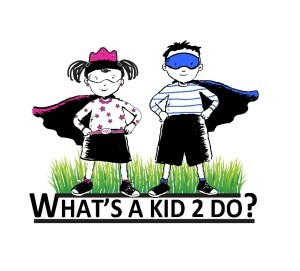 Check out www.whatsakid2do.org to see how we are helping local children facing adversity such as homelessness, poverty, abuse, medical conditions and more. Thanks for helping us out! On Wednesday evening we will be having a SILENT AUCTION from 8:30 – 10:00 to benefit Whats A Kid 2 Do local 501c3 charity, a local not for profit 501c3 organization helping children facing adversities and health issues & to provide some PAY IT FORWARD scholarships for other local not for profit programs. Help us help others by bringing something to put in a basket or better yet design a basket and bring it ready to go. If you bring a silent auction basket ready to go you or items to put in the basket you will receive a FREE raffle ticket(s) for our special ONE HOUR WITH YOUR FAVORITE INSTRUCTOR! Last year we had everything from chocoholic baskets to wine baskets to a brand new beautiful set of sheets for a king size bed. We also had special balloon bags, jewelry, face paints, brushes and MORE. Think outside the box. Maybe something you have that does not bless you and make you smile anymore could be someone else’s treasure or maybe you want to donate a sheet of your very own cluster gems that are guaranteed to make smiles happen! Check out www.whatsakid2do.org to see more about this wonderful project. During the silent auction we will have a small reception.